Updated 19/04/2014 : One of the common issues facing Ubuntu users after installing or upgrading Ubuntu is the no sound problem, there are many reason for this issue, sometime is related to a volume setting configuration, misconfiguration or can be that you have a new hardware that is not supported. 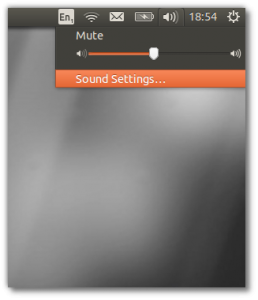 In this post will try to list some solutions to no-sound issue on Ubuntu. The following solution should work on Ubuntu 14.04, 13.10, 13.04 Raring Ringtail, 12.10 and any older release of Ubuntu. Check output volume if muted or not, if not muted then go further with the steps bellow, if is muted then is your problem should be resolved just you have to uncheck mute. Enter “alsamixer” and press the Enter key. Mute/Unmute with the “M” key. An “MM” means muted, and “OO” means unmuted. A caveat here: When you mute or unmute something, pulseaudio might pick it up and mute and unmute other controls, as well as PulseAudio’s main mute.